As you know, Rihanna… THE Rihanna has just released her own makeup line exclusive to Sephora. Her entire line dropped last September 8 online and in-stores worldwide. Part of her launch is the Pro Filt’r Instant Retouch Primer, Invisamatte Blotting Powder, Killawatt Highlighters, Match Stix Trio, Match Stix Shimmer and Matte Skinstick, Glass bomb Lip Illuminizer and her own set of beauty tools to pair with her products. But the real gem in this line is her Pro Filt’r Soft Matte Longwear Foundation that she released in 40 shades, pretty impressive for an initial release if I may so myself.This claims to be “A soft matte, long-wear foundation with buildable, medium to full coverage, in a boundary-breaking range of shades.” — it also claims to instantly smooth, diffuse pores and leave a shine free finish. Now, if all that doesn’t make you run out to your Sephora for a shade match, then probably a couple more helpful observations would. – $34, 32ml. or $1.0625 / per ml. – $29, 30ml or $.97 / per ml. – $43, 30ml or $1.43 / per ml. – $27, 7.5 grams or $3.6 / per gram or ml. The Milk Makeup foundation is a recent discovery of mine, though the shade range isn’t very impressive. It is very comparable to the Pro Filt’r Soft Matte Foundation in terms of the finish, texture, application and wear. – $40, 30ml or $1.33 / per ml. 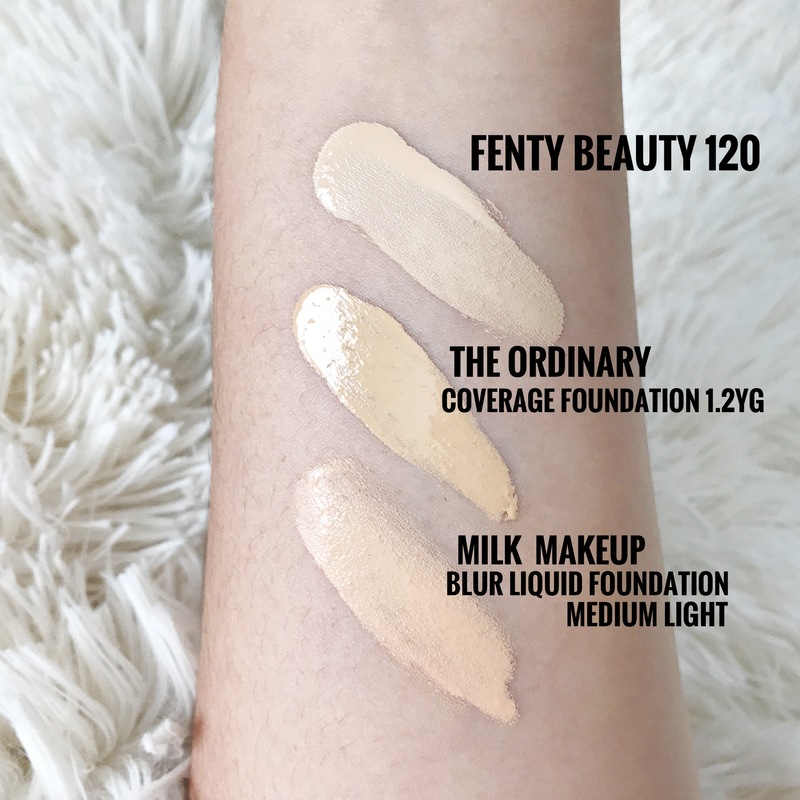 The Pro Filt’r Soft Matte foundation is packaged in a frosted glass bottle with a pump, you’ve also probably noticed the honeycomb design carried out through the collection, which I find to be a cohesive, sleek, and modern look. People who’ve tried this foundation have mixed feelings about the finish it leaves the skin, I have a friend who likes it a lot but she says that around her nose and chin where she normally gets oily, the foundation would break down. Another person told me that it makes her look cakey and that the foundation clings on her dry patches. My skin is mostly “normal” these days, my nose gets oily but not too bad. I’ve been fortunate so far, this foundation leaves a beautiful, shine-free finish that doesn’t make my skin look dry and flat, it almost looks like my skin has a filter (as the name of the foundation suggests). There’s a softness to the appearance of the skin on initial application and this remains consistent throughout the wear. I like this foundation because it evens out my skin tone but I can still see my skin underneath it, I can still see my freckles and some blemishes. Having said that, if you have darker freckles, hyper pigmentation, pimple marks, sun spots or anything that you don’t want showing through, you’d be better off correcting them before you do your foundation to maintain the softness of this foundation or you can try layering it to create a fuller coverage and see if that satisfies your needs. The Pro Filt’r foundation filter foundation “transforms” into its “true color” almost immediately after application. I’ve tried this foundation on bare skin (no skin prep, primers, etc.) as well as with skin prep and etc. and I am very pleased to say that this foundation has not darkened any more than it has after it first adjusts or at least it’s not that noticeable because my face still matched my neck after a 10 hour day. I refuse to use the word “oxidize” because it doesn’t continue developing its color throughout the wear. I’m using Shade 140 and this shade claims to cater to “light skin with very warm undertones”, obviously I do not have light skin but I definitely have warm undertones in my complexion. When picking your shade at the store, make sure to swatch it against your jawline and let it adjust to your skin. 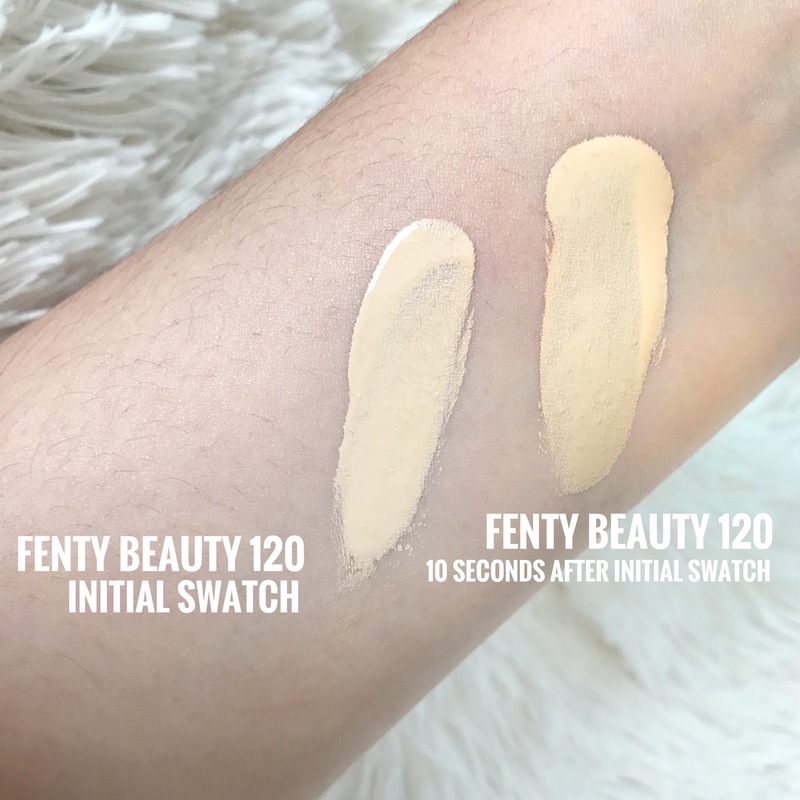 The frosted glass packaging makes the foundation look lighter than it really is, so make sure you swatch. You should also consider your setting powder, bronzer, and other products that you normally layer on top of your foundation, if I used the 140 by itself it definitely looks a lot lighter than my actual skintone, but because I have to go over the perimeters of my face with bronzer, blush and all that good stuff, by the time the complexion is done, my face will still match my neck. 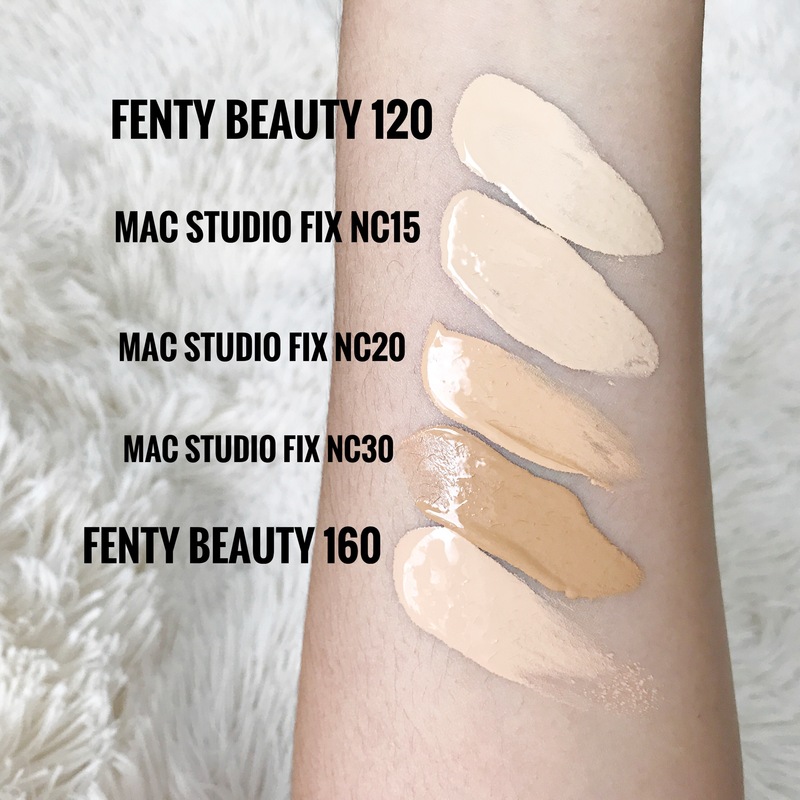 Rihanna not only made an effort to create a range for her foundation, but she also paid attention to the undertones. As a makeup artist and a consumer, finding a single foundation with the correct undertone is even harder than finding the right shade. I find that I always have to mix my foundations to create a perfect match and I’m sure regular consumers also find themselves in a conundrum just to get their faces to match their necks. The Pro Filt’r Soft Matte Longwear Foundation is available in the following undertones: neutral, warm, very warm, cool, warm yellow, warm peach, warm and very peach, warm and subtle peach, neutral olive, cool pink, cool red, cool and very red, warm and subtle red, and neutral and subtle red. — Pretty cool, right? I only have good things to say about this product, so if you were waiting for the other shoe to drop, it’s not going to. 😉 I do have a couple more things to say before I end this review and it’s about the hype surrounding the inclusiveness and diversity of this foundation because while I think the shade range is impressive for an initial launch and I’m happy for those who finally got their shade match, I wish these people who are celebrating this release knew about the other brands who carried more than 3 shades of foundation — I’m looking at you Physicians Formula! MAC Cosmetics is one of the few mainstream brands who offer a more diverse range, same with Make Up For Ever. Another B.O.M.B. is Fashion Fair by Eunice Johnson, she has at least 16 shades in her brand, but they are richer shades not typically made by brands like Too Faced or Benefit. However, Professional brands like RCMA carries 80+ colors in their range, Kryolan has 122, Graftobian has 64. These brands are available from their respective websites and professional makeup retailers like Camera Ready Cosmetics, Alcone, Frends Beauty and more. I guess the point I was making is it’s not as revolutionary as we think it is. It is definitely special and a callout to brands who don’t address the obvious market demand but I don’t think that it’s entirely unique. That’s it, my friends! I hope that last note didn’t throw you off. I was simply stating an observation but over-all this foundation is a great buy for its performance, packaging and wear. I am definitely looking forward to trying more of her products. I also have the Killawatt highlighter and the Invisamatte Blotting Powder, so let me in the comments below if you would like a review on those, too. Pictures to follow very soon, I just wanted to get this blog up to share my experience to maybe help you decide (or just confirm your decision to purchase) 😉. I hope that this was helpful to you in some way. Please follow my blog and get updates of new reviews and videos. Loved your review. I have the highlighter duo as well! I def wanna get matched. Check out my Fenty review? Looking forward to your future content.